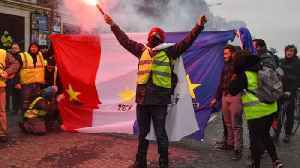 The yellow vests movement or yellow jackets movement is a populist, grassroots political movement for economic justice that began in France in November 2018. 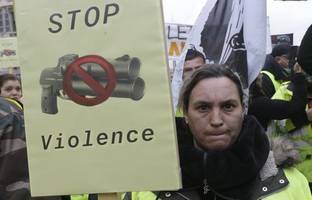 After an online petition posted in May had attracted nearly a million signatures, mass demonstrations began on 17 November. 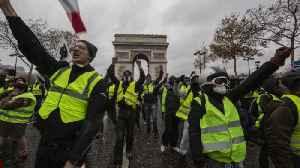 The movement is motivated by rising fuel prices, high cost of living, and claims that a disproportionate burden of the government's tax reforms were falling on the working and middle classes, especially in rural and peri-urban areas. 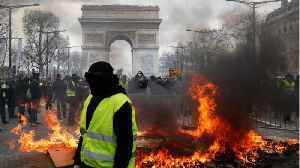 The protesters have called for lower fuel taxes, reintroduction of the solidarity tax on wealth, a minimum wage increase, the implementation of Citizens' initiative referendums and Emmanuel Macron's resignation as President of France and his government. The movement spans the political spectrum. 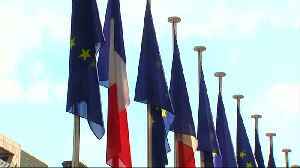 According to one poll, few of those protesting had voted for Macron in the 2017 French presidential election, and many had either not voted, or had voted for far-right or far-left candidates. 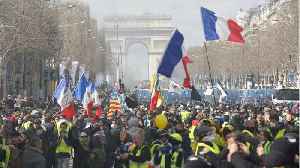 French President Emmanuel Macron was set to address the nation on TV in a highly-anticipated speech on the Yellow Vest crisis, but cancelled at the last minue after news emerged that the landmark Paris..
​Protesters came out in full force Saturday, throwing smoke bombs at police and even setting large fires. 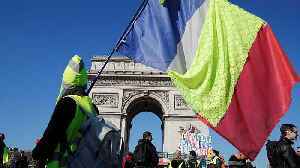 Thousands march across France for the Gilets Jaunes' "Act XV"
For the movement's "Act XV", the Gilets Jaunes organised marches in Paris and other cities as well as a picnic at the Chambord castle and a protest at the UN. 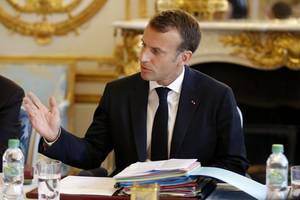 French President Emmanuel Macron will go on television on Monday evening to announce a series of policy changes based on the feedback received over two months of public consultations triggered by the..
France’s Yellow Vest protesters take to the streets on Saturday for a 22nd consecutive weekend of demonstrations. 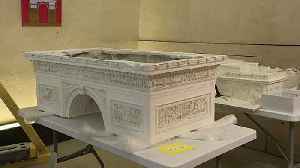 They have named Toulouse the “capital” of this edition, the first since a..